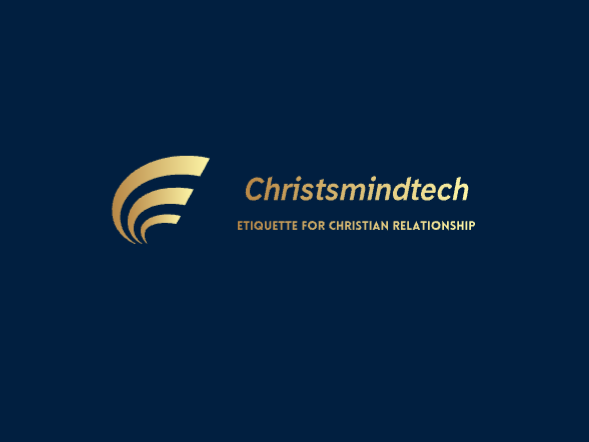 Continuing with the series on covenant relationship, the friendship of David and Jonathan highlights enormously the terms that compose the content of what constitutes covenant relationship. There would be no where in the church where the subject of friendship is being discussed that references would not be made to David and Jonathan’s. There doesn’t seem to be a godlier example of friendship in the Bible. The definition of Covenant relationships was portrayed in the lines of thier relationship. We see in 1 Samuel 20:14–17, 42; Jonathan and David made a covenant of friendship and peace that was to last through their descendants forever. So we can attempt to define covenant from here as a solemn promise between two or more people. Not like the binding agreements in legal sense. A covenant is so much more than a contract. Covenant is rooted in promise and relationship. It implies a bond that cannot be easily broken by situations. Bearing in mind that these covenants remains unwritten, the definitions we give to our relationships are the covenant binding us in those relationships. And it came to pass, when he had made an end of speaking unto Saul, that the soul of Jonathan was knit with the soul of David, and Jonathan loved him as his own soul. Then Jonathan and David made a covenant, because he loved him as his own soul. And Jonathan stripped himself of the robe that was upon him, and gave it to David, and his garments, even to his sword, and to his bow, and to his girdle. 1 Samuel 18:1-4. The words used to describe their relationship in the verses above suggests a strong bond between them. He says their souls were “knit” together and that Jonathan loved David “as his own soul. Then Jonathan made a covenant with David and demonstrated the reality of his promise by giving his robe, armor, and weapons to David. Thus began one of the greatest friendships described in the Bible. The beginning of David and Jonathan’s relationship brings to mind a very important matter in friendship making. Jonathan just knew immediately David was done speaking that he was going to be a good friend. Despite the immediacy in Jonathan’s decision, the background of their meeting would help us to understand what drew David to Jonathan. Jonathan must have seen in David something they both share in common: their great faith. We well know how David was resolute to confront Goliath by Faith —1 Samuel 17:45-47. Some years back, Jonathan had acted similarly. He was sure that he and his armor-bearer could attack and defeat an entire garrison of armed soldiers by Faith in the God of the Israelites 1 Samuel 14:6. So Jonathan and David had much in common: strong faith in God, fear and deep love for him. Lately before the social media overhauling influence in our relationship making process, to make a friend somewhat required some sorts of approaching, manning up, speaking up, wooing and letting the person know all you feel about him/her. This act has it’s ills and not much an acceptable practices in the churches. FRIENDSHIP with an eternal value and long lasting purpose is not often borne out that way. Friendship as in the case of David and Jonathan’s happens naturally, as the parties involved connects spiritually, mentally, and physically; feeling pleasant to each other and finding fulfilment of purpose together. The bonding in such relationships is selfless, strong and unconditional, it is natural and real like the love of a mother to her child. Friendship making is incomplete until the both parties involved sees each other in the same lence of love, respect, value, loyalty, etc. One of the foundations of a covenant relationship is a shared affection and love for one another. In the case of David and Jonathan’s, we see initially Jonathan was the person in positions to help and care for David but sometimes later David came into the position to help and even though Jonathan was no more he still did something to express his love and cares to Jonathan by calling up the remnant of Jonathan’s family (Mephibosheth) and placed him in a honourable place in the palace after restoring all that belonged to the house of Jonathan to him. David and Jonathan manifested the proverbial injunction of “A friend that loveth at all times”, Proverbs 17:17. We have something to learn from this long term expression of love from David, we are in an age that had been so painted from various social media to project love as the ability to impress one and express to every one around that we care for one, such that we are so image conscious that we think more about the impression that we make than we do about making genuine relationships. Most times; because not all that glitters are gold, people that love us may not be in the position to rush and impress us but inside our heart we can verify their genuine love. Such is the persons to build covenant relationship with. When we build our relationships this way, we would see the rough edges and the ugliest things about us, so we will be known in the ugliest and the best and be loved for who we are, such love like David described was more wonderful than that of women. Someone who loves you will manifest God’s attributes to you the same way only God would do-“unfailing kindness like that of the Lord”. He will show you unprecedented faithfulness in and out of season, traditionally without cause and effect, Love unconditionally, mercies without quitting, gracious, helpful, kind, concerned and more. It should be easy to know who loves you because it will mimic the love like of God. We continued to read that Jonathan loved David as “as his own soul.” Actually, Jonathan loved David more than himself. He willingly gave up any hopes that he would succeed his father, and he entered into a covenant friendship with David. From then on he was concerned with David’s interests over his own. It is in the nature of Covenant relationships to have the parties intercede for each other before God, in prayers. Covenant relationship from the depth of their hearts wants the good of each other and are directly concerned on their welfare. We see this description in Jonathan’s interception for David before his father just as is described in Job 16:20-21; My intercessor is my friend as my eyes pour out tears to God; on behalf of a man he pleads with God as one pleads for a friend. By experience also, I learnt that there’s a supernatural bonding that exists between you and anyone you intercede in prayers for. I once had an experience in my local church. There was this senior church sister who I grew up knowing and relating with as my senior in the church. We hardly talk especially not in the platforms of friendship. But one day something dicey happened to her. It was relayed to me by another church guy because I had left that locality and only visits occasionally. The circumstances was one that was sympathetic and got me empathic. So, on one of my prayers moments I was led to intercede for her in prayers. The aftermath of the whole circumstances surprised me. Aside that the situation was turned around by divine intervention, I noticed something different with her the next time I visited that church. First, she related to me pleasantly, we had a long talk, she told everything that had transpired; I never asked her, I didn’t tell her I prayed for her, and for the first time we exchanged contact of which she continued to message and remind me of her goings. This was a surprise to me but then I learnt subsequently that those I intercede for in prayers gets closer to me and we are more pleasant to each other. Thus, I learnt in extension that praying for one can help you accept their person and have them accept you. We see Jonathan ready to make more covenant of loyalty with David than side his father to betray David. By this time, Jonathan looked at his troubled friend and made his decision. He told David, “Whatever you want me to do, I’ll do for you” (1 Sam. 20:4). Actually it was Jonathan, who was closer to death than David, but he kept his word, and so did David. By the reliability of Jonathan in sticking with David; as expressed in Proverb 18:24, David escaped Saul’s intentions to ruin him. In those days, when a new royal family took the throne, often the members of the preceding royal family were killed so that there wouldn’t be any rivals stirring up rebellion. Jonathan resisted rivalry. Same was obtainable in David, many years later, David remembered and kept his promise. “David asked, ‘Is there anyone still left of the house of Saul to whom I can show kindness for Jonathan’s sake?” (2 Sam. 9:1). David restored Mephibosheth’s inheritance and adopted him into his own family for Jonathan’s sake. Death did not end David’s love for Jonathan. He faithfully kept the covenant he had made with him. “…, Whatsoever thy soul desireth, I will even do it for thee”. Jonathan continued to help David survive Saul’s hunt. ‘Don’t be afraid,’ he said. ‘My father Saul will not lay a hand on you. You will be king over Israel, and I will be second to you. Even my father Saul knows this'” (1 Sam. 23:15-18). Jonathan’s encouraging words helped to comfort and strengthen David through to the victory. Proverbs 18:24 Some friendships do not last, but some friends are more loyal than brothers. King Solomon in the verse above tells us that a true friend is always loyal. Covenant relationship demands Selfless Sacrifice. When Jonathan stripped off his armor and weapons, he acknowledged the kingship of David over himself. The sacrifice of time, resources, emotional energy, and preferences; i.e: getting to know people, making time to spend with them, bearing with their failures, and working to forgive them when they wrong us, are what keeps relationship strong. Jonathan passed the test of loyalty to David when he took instructions from David to verify Saul’s stands about David’s life. Every David needs a Jonathan. Every Jonathan needs a David. This is an article you read and want to share with your friends. So that you could check on each other and grow together in these virtues. We pray that God will bless us with friends that we would share bonds with. David and Jonathan’s relationship indeed was the all times and in all history’s best example of friendship relationship. You know this particular article is very long that I was afraid of anyone would be able to read through. Most welcome. It’s a post that anyone who wants to grow in his or her friendships in Christ will read to the end. Next Men or Women: Who Should Ask More Questions in Relationship Building?